Mr. Trump has also threatened to “go after” Amazon with regulation because, in his view, it is too big and has caused many retail jobs to disappear (not to speak of hurting shopping malls and commercial real estate development, which is the core of Mr. Trump’s own business). His position as president—despite him having proven to be a casual liar—make Mr. Trump’s utterances alone, even if he does not act on his threats, damaging. (After Trump’s tweets attacking Amazon, the company’s share value declined 4.4%—53 billion dollars—but has recovered since). According to the BBC’s Business Correspondent, Joe Lynam, it is unprecedented for a sitting president to single out one company for such vicious attacks Mr. Trump has been making. Even if Mr. Trump’s claims about the USPS’s losses—“billions of dollars”—in its contract with Amazon were true (U.S. Postal Regulatory Commission says that the Amazon contract is profitable for the USPS), how Amazon operates is none of the president’s, or the government’s, business. As Ayn Rand explains, government has only one proper role: to protect its citizens against the initiation of physical force, including fraud. Government should not be regulating business or operating postal services, both of which constitute initiation of physical force. When government dictates how Amazon should operate, it prevents the company from maximizing profits. In other words, government regulation diminishes wealth creation, which harms not only Amazon’s shareholders but also its employees (fewer jobs, lower wages) and customers (higher prices, less selection, less innovation, and thus, less convenience and overall value). Government operating a business, such as a postal service, also constitutes physical force. The USPS is funded by money collected from tax payers under the threat of physical force—taxes are not voluntary, and it holds a monopoly on the delivery of first class mail. The USPS is a government-run business; it is no wonder it is losing money and can continue to do so with continual tax payer subsidies, with little accountability and competitive pressure. Amazon, on the other hand, does not initiate physical force against anybody. Instead, it trades voluntarily for mutual benefit. Its shareholders invest in it voluntarily, its managers and other employees work for it voluntarily, and its customers buy from it voluntarily. Why are all these parties so eager to trade with Amazon? Because Amazon provides them a tremendous value: return on their investment (continually increasing share price—except when president Trump threatens initiation of physical force), work for agreeable compensation, ever-increasing selection of goods at great prices and convenience. The inability of malls and other retailers to compete with Amazon is not due to it initiating physical force but because it offers greater value than its competitors—which shareholders, employees, and customers choose over competitors’ offerings. 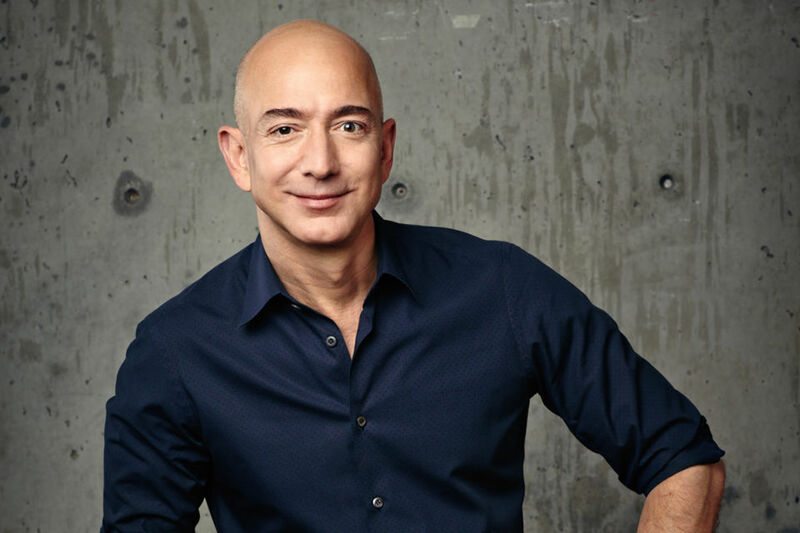 Further investment, employees competing for its jobs, and more and more customers buying more and more of its products allows Amazon to create more wealth, innovate, and grow, thus benefiting us all. That is the beauty of free markets: enhancing of human prosperity and flourishing. Mr. Trump should keep his fingers off his Twitter feed and leave Amazon alone to do what it does best: create value. Instead, the president should focus on getting government out of business by deregulating—and privatizing the United States Postal Service. Jaana Woiceshyn teaches business ethics and competitive strategy at the Haskayne School of Business, University of Calgary, Canada. She has lectured and conducted seminars on business ethics to undergraduate, MBA and Executive MBA students, and to various corporate audiences for over 20 years both in Canada and abroad. Before earning her Ph.D. from the Wharton School of Business, University of Pennsylvania, she helped turn around a small business in Finland and worked for a consulting firm in Canada. Jaana’s research on technological change and innovation, value creation by business, executive decision-making, and business ethics has been published in various academic and professional journals and books. “How to Be Profitable and Moral” is her first solo-authored book. Visit her website at profitableandmoral.com. Does Fighting Climate Change Give a Business a Competitive Advantage? Who should you hire—and how to get hired?